David Clark is a senior research scientist at the MIT Computer Science and Artificial Intelligence Laboratory, where he has worked since receiving his PhD there in 1973. He joined the Internet project in the mid-1970's, and implemented the Internet protocols for the Multics system, the Xerox PARC ALTO, and the IBM PC. From 1981-1989 he acted as chief protocol architect for the Internet, and chaired the Internet Activities Board. During the 1990's he worked on mechanisms to support QoS on the Internet. He has also studied issues of Internet performance and security. His current research looks at re-definition of the architectural underpinnings of the Internet, and the relation of technology and architecture to economic, societal and policy considerations. He is helping the U.S. National Science Foundation with its Future Internet Architecture program. 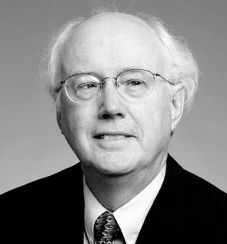 He is past chairman of the Computer Science and Telecommunications Board of the National Academies, and has contributed to a number of studies on the societal and policy impact of computer communications. He is a fellow of the National Academy of Engineering and the American Academy of Arts and Sciences.